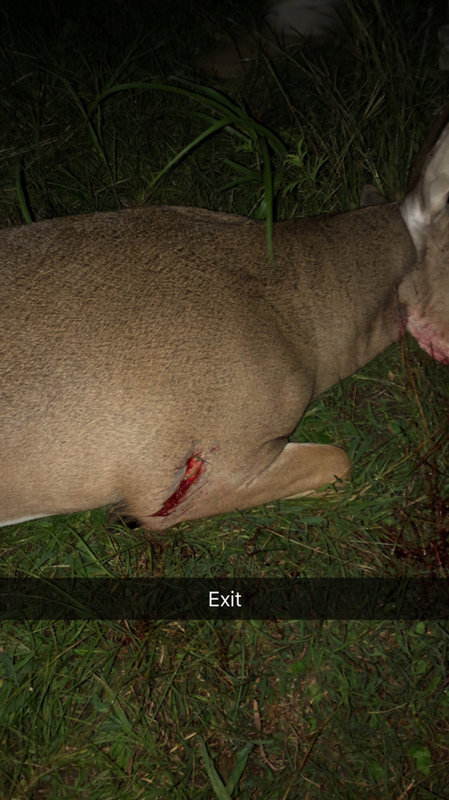 I just recently started hunting a place right outside of Hallettsville. Up until the end of September I only had some young bucks and lots of does on camera then about a week before bow opener this guys show up. 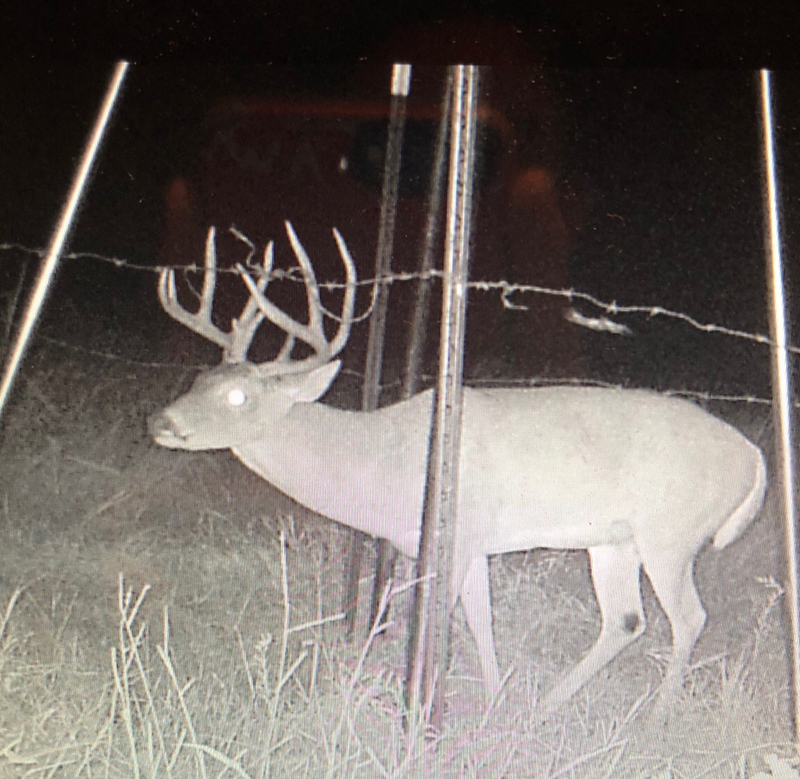 I was super pumped when i first saw him and maybe even lost a little bit of sleep thinking about how long that next week was going to be waiting on bow season. After no luck Saturday, Sunday morning rolls around and 30 minutes before day break there he was eating corn under my feeder. I figured he wasn’t going to stay until light, and he didn’t, but I didn’t want to force a shot knowing I still had lots of season left. These past few weeks have been really slow and I have gotten skunked more times than not. He had been showing up still, but only at night. I had a good feeling about this cold front though. I got in the stand this evening around 4 and patiently waited almost all evening with no sign of any deer. About 620 I look up and spot a deer about 150 yards off that appeared to have a really small body through the tall grass so I just figured it was a doe. The deer picked his head up and I immediately knew it was him. He took a few steps towards me and the buck fever began to set in. I take my jacket off and get my bow in hand. I look up and he’s gone. My heart sank. I immediately thought he saw me and took off. 10 minutes went by, then 20.... I just knew he had left. I was so upset and so many emotions were going through my head. 645 roles around and I see a set of horns coming out of the brush not 15 yards from me. It’s him!!! I began to shake so hard that I could barely even pick my bow up. He scooted out to 20 and turned away from me which gave me the opportunity to draw on him. I brought it right up his leg and let it fly. It was already kind of dark so I wasn’t sure where I hit him but the shot felt good. He ran about 50 yards and did two rolls. I couldn’t believe it! I had just smoked him! We have a rule around here..... pics, or it didn’t happen. I'd have the shakes as well, bud...congratulations on a beautiful buck! Thank y’all! I couldn’t be more excited right now. He scored out at 130 7/8! Heck of a shot! Congratulations! Great job. Congrats on a fine buck. That buck is a stud. He’ll make a beautiful mount. 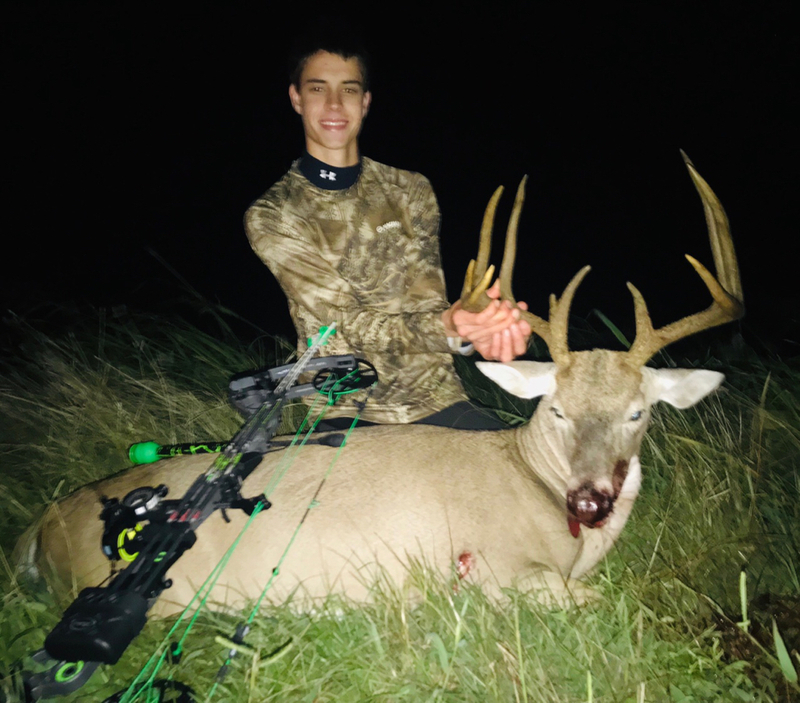 Big congrats on a nice buck. Great buck, and great shot. Congrats Josh, that's a great looking deer. Beautiful deer. 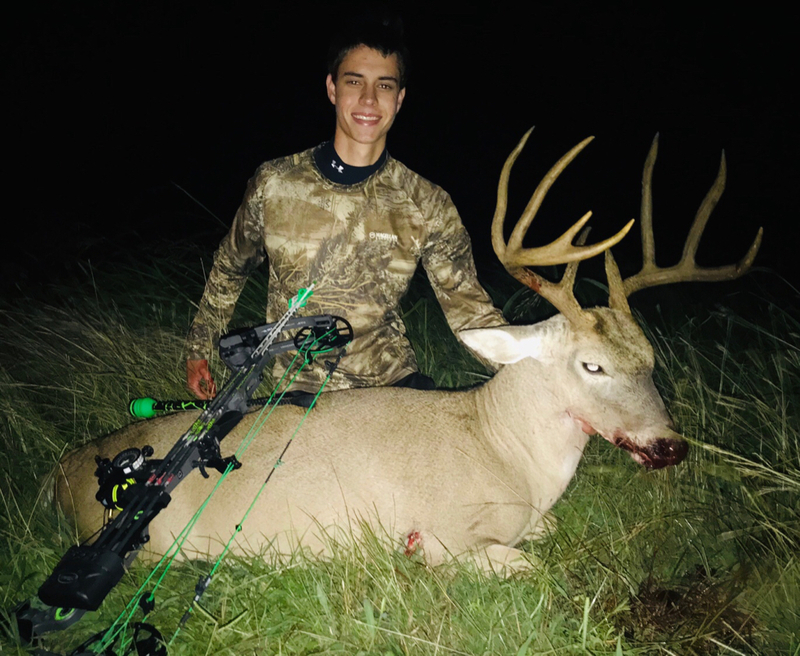 Congrats on a stud of a buck! Attaboy! 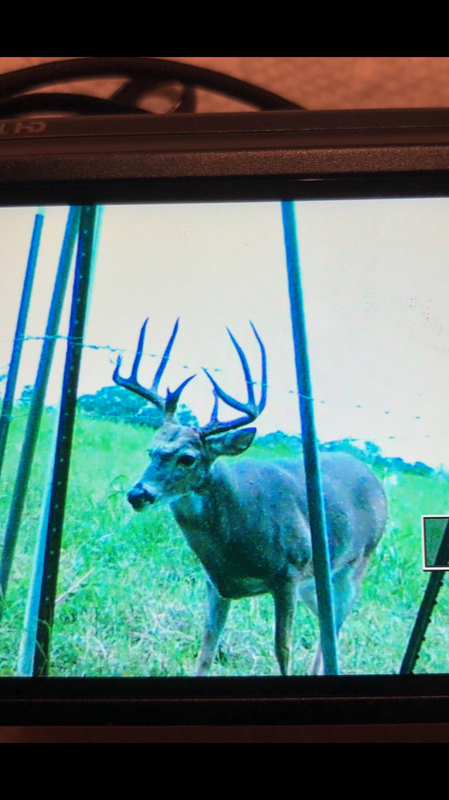 Heck of a buck! Congratulations on the buck!.... and yea you did “smoke him”, nice shot! That’s a nice buck, congrats. Congrats on a hell of a buck!! Congrats on the nice trophy! heck ya. you 10 ringed that buck! Congrats! 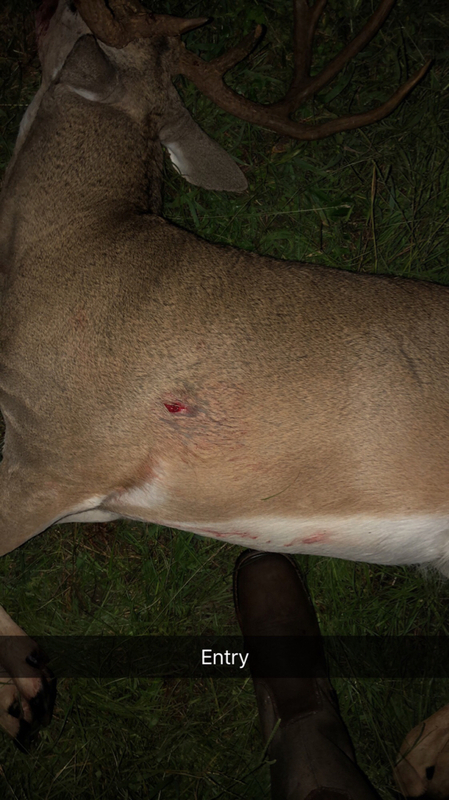 Great deer and shot you made! Nice deer and great shot! Outstanding buck and a great shot. I bet you're on cloud 9.